HP unveiled a bevy of products in its Omen gaming line for this year's E3. Among those was the Omen X Compact Desktop which can be used both for VR gaming and regular computing thanks to its docking station. Continuing the theme of compact VR desktop computing, HP is releasing the HP Z VR which is aimed squarely at businesses. Like the Omen X, the Z VR utilizes a dock for traditional computing while offering a backpack for mobile use. Spec-wise, it includes a Core i7-7820HQ quad-core processor and a 16GB Nvidia Quadro P5200 GPU. Being a VR focused computer, it will of course work with the Oculus Rift and HTC Vive. According to PCMag, it will be "promoted with either HP's version of the Windows mixed-reality headset or the HTC Vive Business Edition." You'll be able to use the compact desktop while connected to the backpack, by itself while connected to HDMI or mini DisplayPort, or connected to the docking station. If you plan on using the backpack, note that the Z VR weighs about 10 pounds. That includes the backpack harness, batteries, and computer itself. HP also announced VR support for the HP Z Book 17 mobile workstation, HP Z Desktop workstations, and the EliteDesk 800 G3 tower. 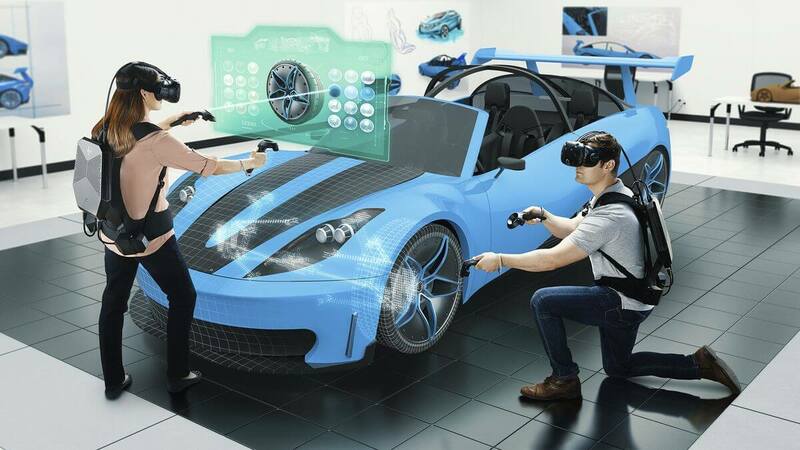 Although a huge chunk of VR development is gaming, many businesses also use VR for things such as training in heavy machinery operation or advanced medical procedures. Other use cases could include visualizations for architecture or interior and automotive design. The Z VR backpack will be released in September and starts at $3,299.